Critiki’s new upcoming visits feature is being put to good use! Now I’m working on ways to make it easier to see when there will be visitors at the tiki bars near you (including notifications). In the meantime, here are some of the upcoming visits (including one tonight in Atlanta). 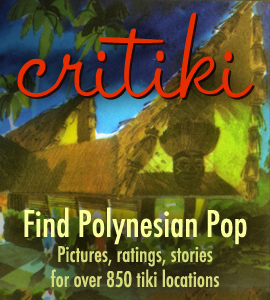 Get out there and meet some fellow tiki lovers! I just love this new feature!!! Thank you so much!!!! I hope it takes off so I pumped it up and out there today! Hey enchantedtikilounge…I see you’re a Houston native. I might have to look you up in December. I am from Dallas, TX and love meeting other tikiphiles!